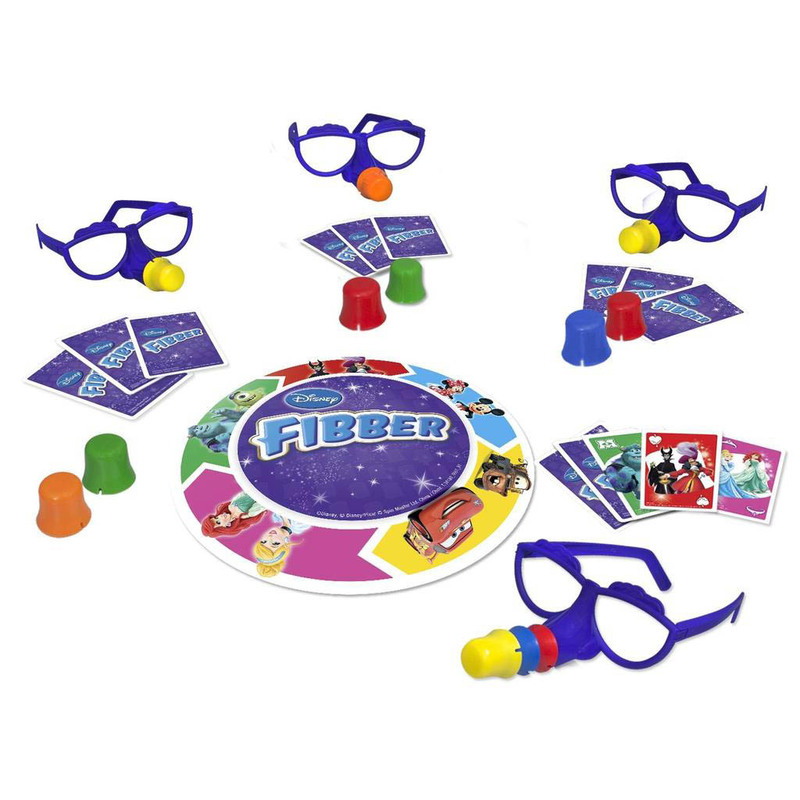 In Disney Fibber, it's not what you play; it's what you say! 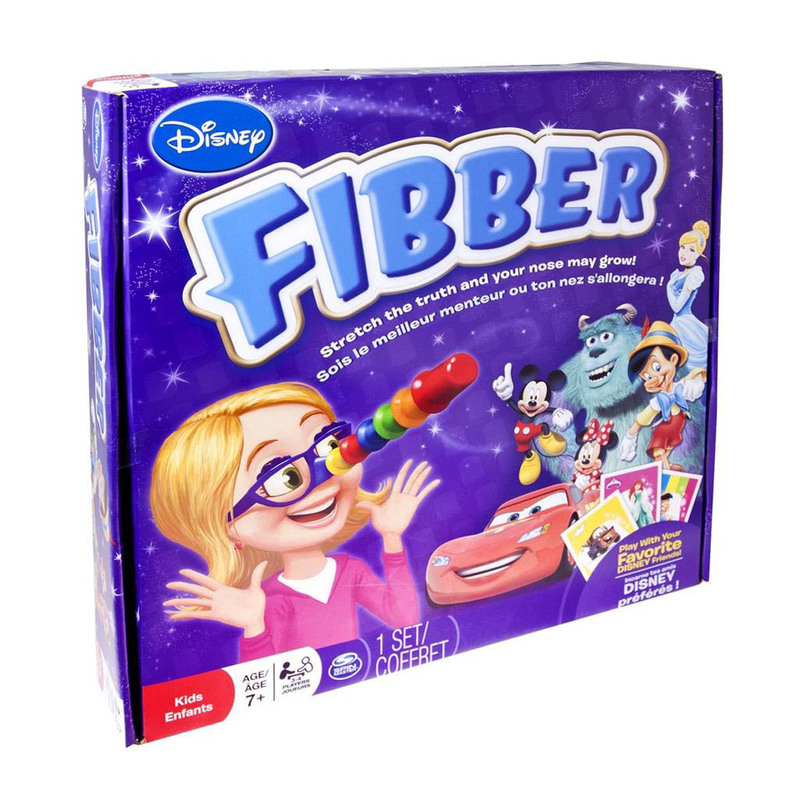 Featuring all of your favorite Disney characters, don't get caught fibbing, or your nose will "grow" like Pinocchio! It’s not what you play; it’s what you say! Did you see Mike and Sulley? Or are you fibbing? Play Disney cards in order and say what you’re playing. Don’t have the next card? Play a different card – but don’t get caught fibbing, or your nose will grow like Pinocchio! 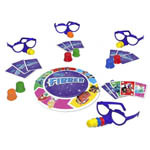 Each player wears a pair of glasses and stacks on nosepieces when they get caught Fibbing. When all the nose pieces are gone, the shortest nose wins! Players try to guess the correct card played without being fooled. Each time you’re caught “fibbing” your nose will grow!